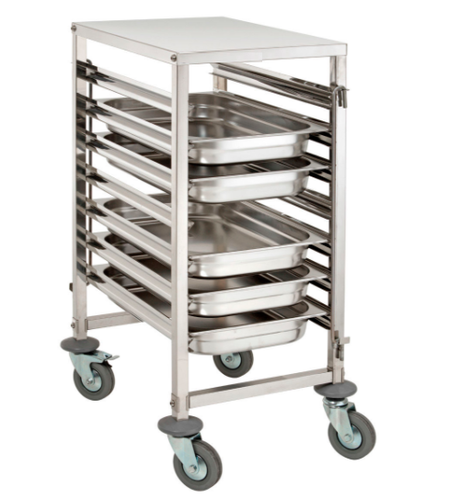 We are engaged in Manufacturing, Supplying, Trading and Service Providing of Kitchen Equipment and Accessories. We manufacture these using quality material for delivering supreme quality product. We are a trustworthy entity, engaged in Manufacturing, Supplying, Trading and Service Providing a wide range of Industrial Kitchen Equipment, Kitchen Refrigerators, Display Counter, Service Counter, Steel Kitchen Tables etc. These products are designed and fabricated by our highly adroit professionals as per the latest technological advancements. Our offered range is widely recognized among the clients for its dimensional accuracy, low maintenance, corrosion resistance and longer service life. We offer these products in various specifications in order to cater to the diverse needs of clients.